When Irrfan Khan’s Mother Stood Up for Him! 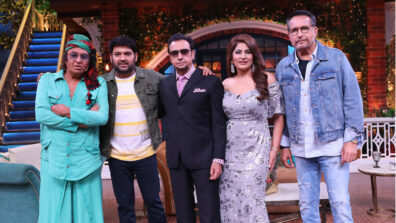 The cast of Hindi Medium graced the set of The Kapil Sharma Show where Irrfan Khan shared an incident from his acting days. When Kapil Sharma spoke about roles being scrapped from movies with or without prior intimation, Irrfan Khan mentioned that the process is a part and parcel of filmmaking and once cannot do much. Irrfan also revealed that he had attended a lot of workshops for a film with Mira Nair but later realized that his role was scrapped. But this was not it, his mother used to accompany him on sets and during one occasion requested Irrfan to introduce her to Mira Nair. Watch this exciting episode of The Kapil Sharma Show this Sunday, 9:00PM only on Sony Entertainment Television!